For any occasion be it in your own house or as a guest in someone else's there is nothing better than has a stylishly simple tart to have for your sweet moment. 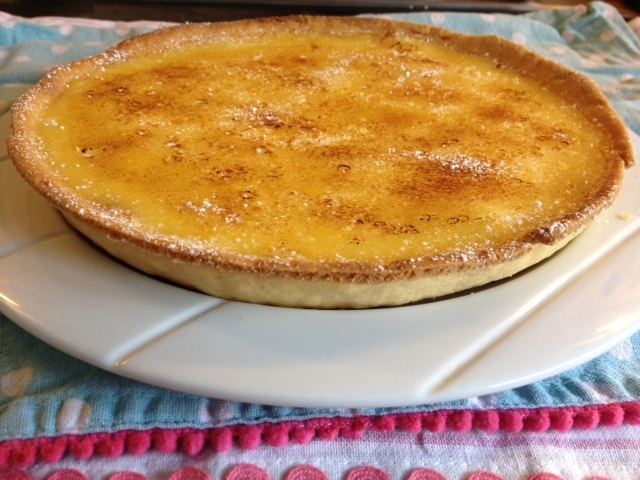 So I thought id share this fantastic recipe my Lemon tart. 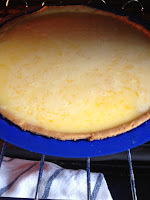 Iv found when flicking through recipe books that a lot of lemon tarts call for nine to ten lemons which in fairness sounds like a lot for a tart that you just want to whip up in a jiffy. 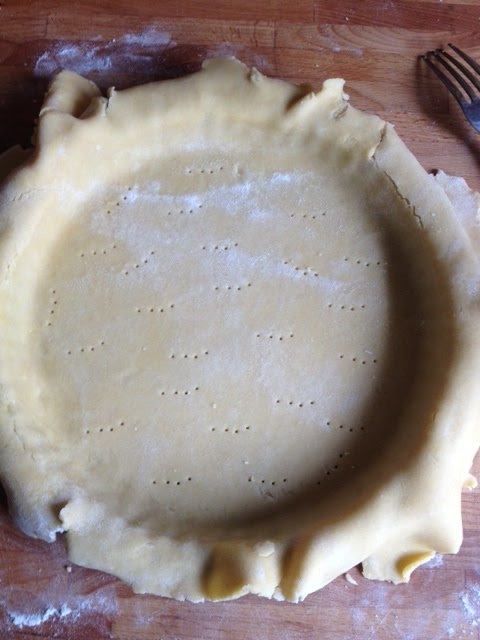 This is your short crust pastry, I like to combine it by hand but if you have a food processor be my guest. 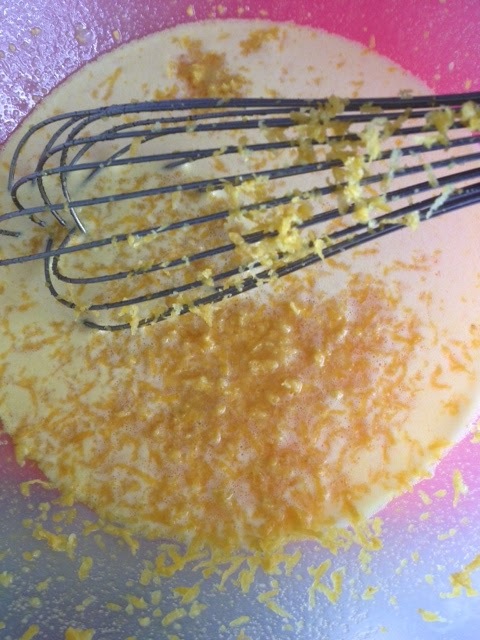 In a bowl pop your flour, icing tugar and diced cold butter. next rub the contents through your fingers and thumbs basically until all the butter has reduced into teeny tiny pea like crumbs. 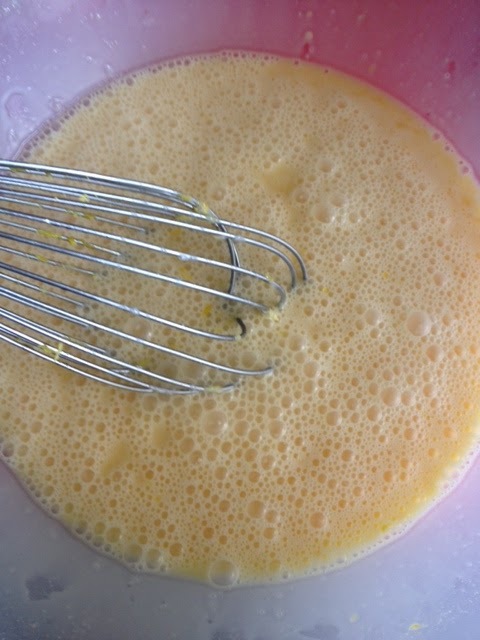 Next I pour in the tablespoon of water and one egg yolk and combine with one hand(so you you have one left to answer that phone that always rings when your mucked up to the elbows!!) 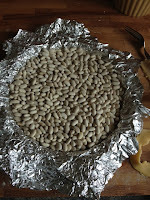 once its come together plonk it out on your board and knead it briefly so as it rolls out perfectly but not to much that makes it tough as old boots!!! Next I roll it out nice and evenly thin making sure its large enough to fit in your flan tin which is 23cm wide. Now you might think iv lost it altogether but iv actually used a silicone flan tin for this, so when the pastry is rolled out I put an upside down silcone tin over it I then gently and I mean gently fold the pastry up onto the tin and whip it right side up because I can find if I roll the pastry onto the rolling pin to put in your tin its an accident waiting to happen lol. A little trick I saw on the telly box one time was if you get a scrap of left over pasty roll it into a ball it works as the perfect tool to press your pastry into the sides of your crinkly tin. 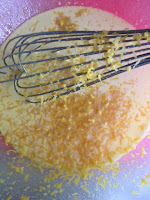 so in a bowl whisk your eggs and sugar together, next add the zest and juice of your lemons until its light and well combined. 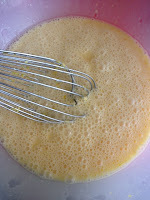 Once your happy with your mixture pour in the cream and mix again. When your crust has cooled pop it back on your oven tray( oven temp reduced to 150') and SLOWLY pour in your lemony goodness. And whatever you do slowly push the tray back in and gingerly close the door. Set your timer for 30minutes you will be looking for a set filling with a wobbly middle ha ha never thught so dont be afraid to check it just before the time. if its baked to long cracks will appear and it will taste of lemon rubber!!! !